IBM Rational RequisitePro provides the above mentioned capabilities and allows organizations to communicate and manage requirements in a better way, thereby increasing the chances of delivering the right solution — on time and within budget. However, in today’s IT industry, requirements are no longer the exclusive property of Business Analysts or Project Managers; requirements are now pervasive throughout the software delivery process. Therefore, an organization using RequisitePro must integrate it with other tools used by different stakeholders to ensure that the requirements are accurately propagated across the software delivery chain. ‘Kovair RequisitePro Integration Adapter’ lets you connect Business Analysts, Project Managers, Developers, and Testers in context of project requirements by integrating RequisitePro with other ALM tools from multiple areas and multiple vendors, such as HP QC, ClearQuest, TFS, and JIRA. Kovair RequisitePro Integration Adapter leverages the vendor-neutral Omnibus Integration Platform to enable synchronization of RequisitePro Requirement with that of disparate ALM tools and ensure cross-lifecycle transparency, macro and micro-level process automation, and correspondence of activities across disciplines. The integration of RequisitePro with other ALM tools is not a point-to-point integration. Instead, it is based on the robust Enterprise Service Bus (ESB) architecture that requires only one adapter per tool, thereby making the integration environment easy to maintain and readily scalable. 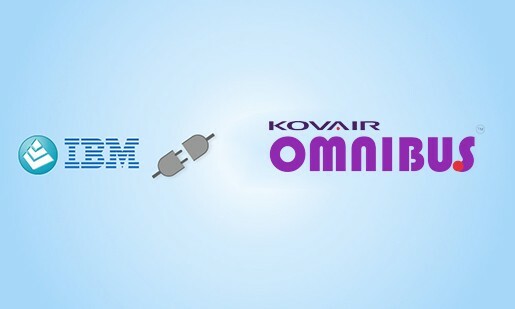 The adapters required by each ALM tool to connect to Kovair Omnibus Integration Platform are built by Kovair itself. The integration rules or business logic is not coded into the Omnibus platform or the adapter. The business rules can be configured by administrative users through codeless simple configuration screens. Kovair RequisitePro Integration Adapter when used with Kovair Generic OSLC Provider also enables users to create OSLC links with Requirements being managed in RequisitePro. This gives users the unique choice of using Sync or Link or both for their integration needs. Managing requirements using documents or a specialized tool, such as RequisitePro can no longer be treated as an isolated operation. Tools used for managing other artifacts, such as design elements, test cases, and issues, which are closely related to requirements, must be integrated with RequisitePro. Even requirements can be of various types and they might be managed in different tools; those tools also need to be integrated. Consider a scenario wherein two different sets of users are managing requirements using two different tools. One set of users are recording Customer/Business Requirements in DOORS while another set of users (e.g. Analysts) are using RequisitePro to derive Functional Requirements from the Customer/Business Requirements recorded in DOORS. Creation of new Customer/Business Requirements in DOORS should add the same items in RequisitePro. Modification of Customer/Business Requirements in DOORS should update the same in RequisitePro. Deletion of Customer/Business Requirements in DOORS should remove the same from RequisitePro. Creation of new Functional Requirements in RequisitePro should add the same items in DOORS. Modification of Functional Requirements in RequisitePro should update the same in DOORS. Deletion of Functional Requirements in RequisitePro should remove the same from DOORS. Relational linkage between RequisitePro items (Functional Requirement) and DOORS items (Customer/Business Requirements) established in RequisitePro should replicate in DOORS. When RequisitePro and other ALM tools, such as DOORS are integrated with Kovair Omnibus through their respective adapters provided by Kovair, all the above mentioned data flows can be configured through a web-based, easy-to-use interface. Similar communication logic can be implemented to ensure that the requirements flow smoothly between RequisitePro and all the other tools. Requirements form the basis of software development. Design elements, code files, test cases, and so on are written based on the requirements gathered from the client. As a result, requirements must be passed on to all the project teams, and changes to those requirements must also be communicated to them. Kovair RequisitePro Integration Adapter ensures that requirements are synchronized with all other tools used by various stakeholders and can be worked upon by the stakeholders from within their tools. It also facilitates in-context collaboration through comments, attachments, and notifications thereby ensuring that all the stakeholders are in sync. When employees are allowed to use their most preferred tools to manage project assets, their productivity rises exponentially because employees make better use of the tools they already know; and when tool is not the concern, they can focus on other important aspects of their roles. With RequisitePro integrated into the system, Business Analysts, Architects, Designers, Developers, and Testers can work on requirements from within their preferred environment. For example, a Tester can add a test case in HP QC and associate it with a requirement that was recorded in RequisitePro. Thus, organizations can enjoy the benefits of tools integration and yet allow their people to continue using their favored tools, thereby helping them improve their productivity. Managing changes in a requirement throughout the lifecycle of that requirement — from elicitation to delivery — is critical. Business objectives change quickly, and SDLC phases, such as development and testing, must adapt to the changes. Even agile development teams, with their emphasis on closer collaboration and tight integration between business owners and development, need an effective change management system. RequisitePro integration and the usage of comments and attachments ensure that changes are managed efficiently. As shown in the example, you can integrate DOORS with RequisitePro so that Business Requirements in DOORS are replicated in RequisitePro. Corresponding to a Business Requirement that originated in DOORS, a Functional Requirement can be added in RequisitePro and linked with the Business Requirement. The Functional Requirement is replicated in DOORS and linked with the corresponding Business Requirement. Changes to these artifacts are kept synchronized in both the tools. As shown in the example, you can integrate RequisitePro with HP QC so that Requirements in RequisitePro are replicated in HP QC. While creating a Test Case in HP QC, a Tester can link it with the appropriate Requirement. Furthermore, the Tester can execute a Test Case in HP QC, fail it, and create a Defect. Thus, Testers can gain access and work on requirements from within their preferred tools. Changes made in the requirements in RequisitePro gets immediately reflected within HP QC. Enables requirements to flow bi-directionally between RequisitePro and other tools in the ALM chain. Allows users to work on requirements from within their preferred tools. Enforces organization specific business rules across the phases. Allows users to trace requirements through various phases. Facilitates collaboration and keeps all stakeholders in sync with the latest changes and ensures smooth change propagation through lifecycle silos. Allows users to establish end-to-end as well as individual lifecycle processes, and automate the processes. Helps in generating accurate cross-tool reports regarding requirements. Allows users to create OSLC links with Requirements being managed in Requisite Pro. Requirement Management throughout the development lifecycle. Robust, reliable, and readily scalable enterprise-class architecture. Bi-directional synchronization of RequisitePro requirements with other tools from other vendors/platforms. Ability to define customized business rules and establish relations between objects of disparate ALM tools. Easy to configure and customize using web-based, codeless configuration screens. Web interface for end-to-end traceability, consolidated reporting, and dashboard.